Nobody Here suggested a link to Editions SIVILIXI, so I took a look around am curious to know if anyone has their Vieville or Paris? I have the Heron versions of these decks, but he makes an appealing case for getting these. Any comments? I have both and been having so much fun playing with them. I too would love to hear more from others who might have the opportunity to investigate them further. Because, I have some questions about the Vieville! 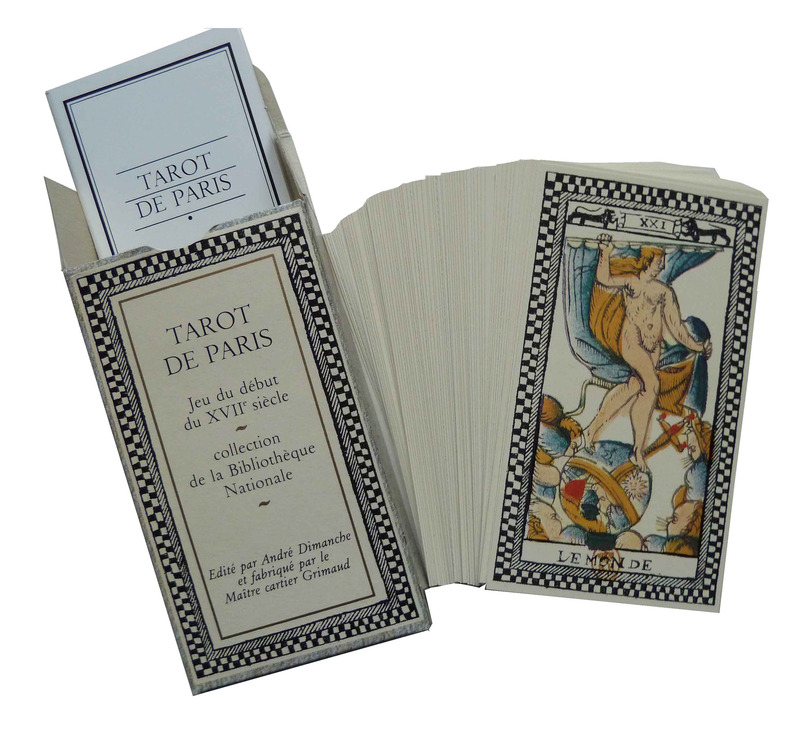 I got this Tarot de Paris from Collectarot . Here is a comparison of the original scan and the restored one from the deck I just got. I am a bit disappointed in the deck because the card stock is about the quality you would expect from an office supply store, that is, flimsy and not very substantial. Definitely only for looking and not use. The restoration is good but I would rather have had the background less clean and the colors not as saturated. But then, I haven't seen the originals but only the on-line scans. Maybe the originals are brighter. Your opinion may differ. I think the Vieville on SIVILIXI's site is the only one that is by them (and when I say "them", I meant Patrick Coq). Can't quite recall who the Tarot de Paris is by. Grimaud? The cardstock is about as good as ones you get from the likes of Flornoy, no? Good to shuffle and use but perhaps not good enough as objet d'art? As for colour saturation, to be the devil's advocate for the moment, I can ponder, if the "original" as seen today constitutes "the original". Or, possible aging in colour palette might be taken into consideration, and any attempt to re-imagine what might have been the original is part and parcel of "restoration" and "reproduction". I am not sure. Just thinking out loud. Yes, Grimaud. No experience with Flornoy as I prefer facsimile reproductions. Thanks both for you feedback, I'll add a link on the www.tarothistory.com page for them as it sounds like they are a quality product that we would be happy to recommend. These are two of my very favourite decks so I'm very tempted to order one and then decide whether to get the other. The Vieville repro is by Patrick Coq of SIVILIXI. He also wrote a book which can be included in a box set. From what I understand, the book is part of a larger body of work which might only be available in French. 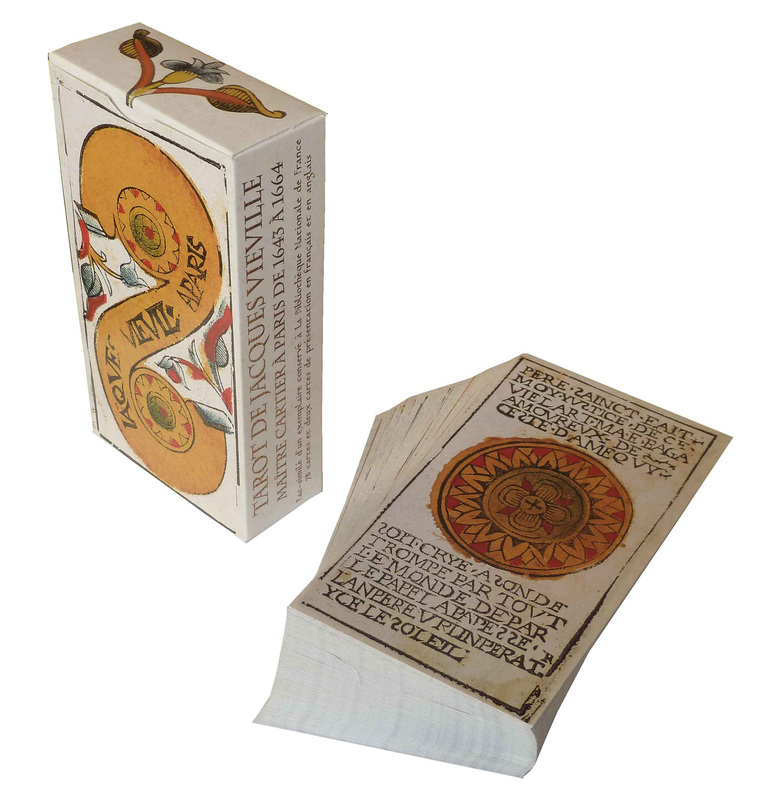 The one I have is part of his box set and seems to be particular to interpreting the Vieville, which I have not read beyond skimming because I do use tarot in that manner. 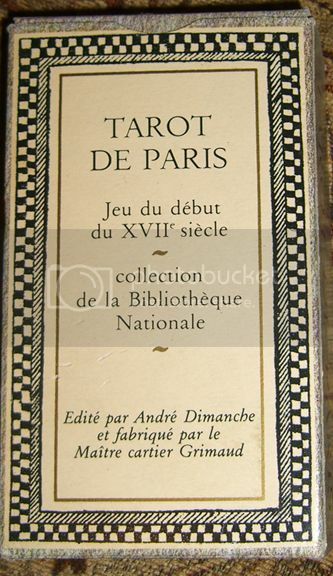 I have the Tarot of Paris from Editions Sivilixi. I bought it 3 years ago on Ebay from the owner of CollecTarot. I had an email exchange with the seller after I purchased the deck. He told me it was his understanding that Patrick Coq at Sivilixi had come across Dimanche's stock in France that Dimanche had put in storage back in 1985 and that my deck was from that printing. The LWB from my deck shows a copyright date of 1984 by André Dimanche, so I am assuming this information is correct. 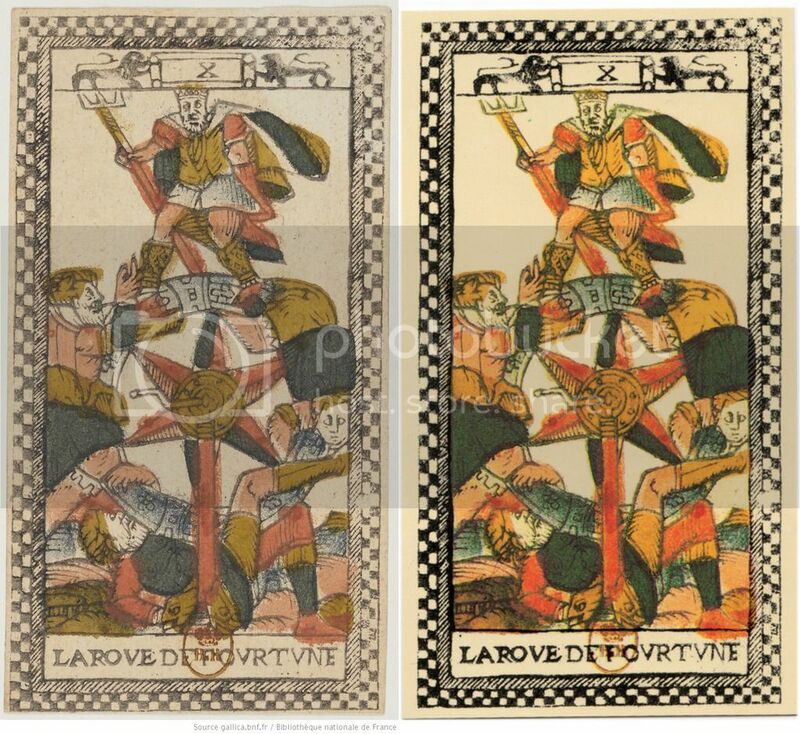 The Editions Sivilixi website currently states that this is "the André Dimanche edition, printed by Grimaud", so I am further assuming that the decks he is selling are still part of Dimanche's original stock and are not a reprint. Thanks for the clarification, I should have just looked at my Paris to see it's the same! My LWB for the Paris also says 1984 on the back cover. So... just the Vieville then! Aaaah thank you for this! This has been a mystery to me until now! Mine likewise has a French only booklet with Andre Dimanche 1984 copyright (sometimes though, year of copyright is not the same as year of publication, but it seems safe to guess that in this case, it is). I wonder why it was put in storage back in 1985? Has Dimanche ever worked on other things subsequently I wonder?